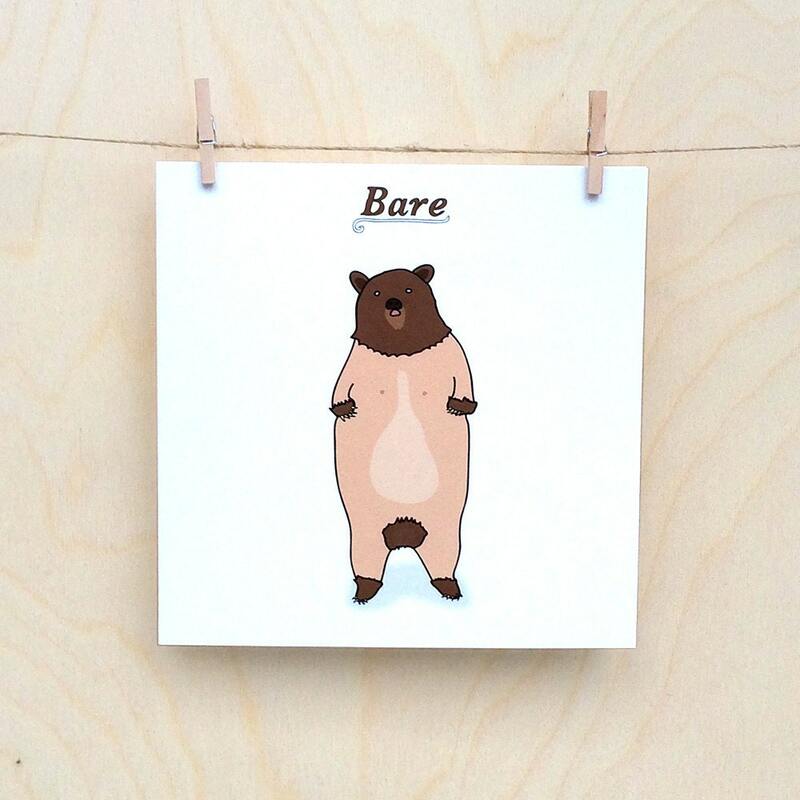 This funny greetings card is .... Well it's a picture of a shaved bear with the word bare above it. It's not hugely complicated. It is 145mm x145mm and is printed on a lovely slightly textured 300gsm card. Ooh and it's got a lovely brown kraft envelope too so it looks all nice. So go on, click buy now. 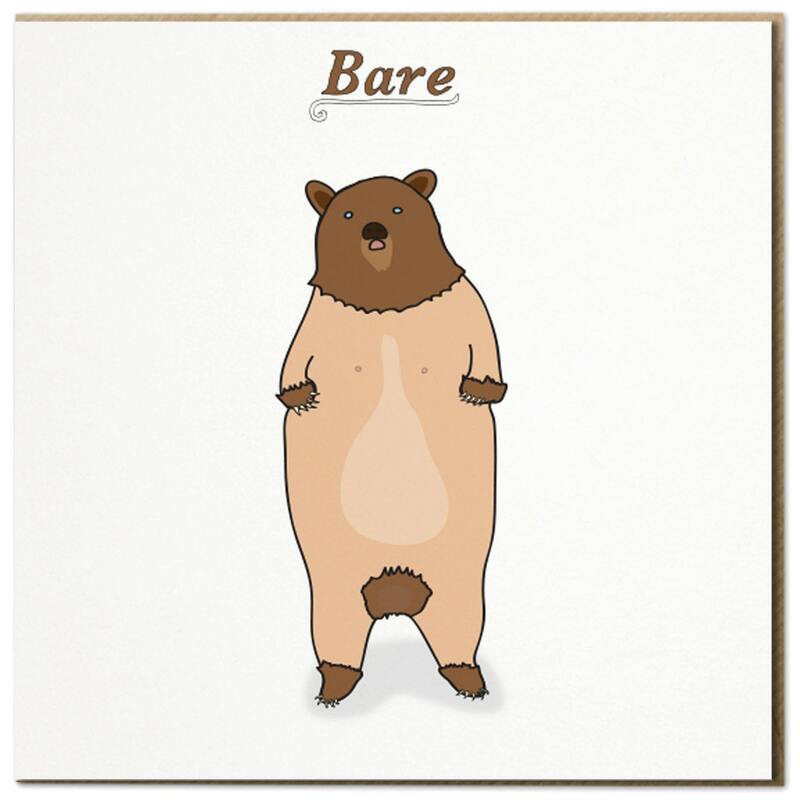 What better way to say "I Love You" or "Happy Birthday" or "Congratulations on Your New Thing" than with a picture of a naked bare... sorry, bear.